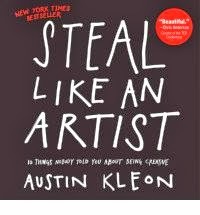 Steal Like An Artist embrace the concept of stealing ideas. If you are repulsive towards stealing anything, I suggest you let it go. Travel. When the world looks new, our brains work harder. This is another awesome book worth buying.